On 15 February 2015, St Mark’s Presbyterian Church in Môregloed, Pretoria celebrated Valentine’s day as a day to care for the Earth. Our theme for Earth Keeper Day was “The Gift of Land and its Management” with the emphasis on God’s covenant with Abraham and his descendants, and the promise of land conditional upon responsible behaviour, justice and equity. The clear link between personal salvation and redemption of the earth as a whole was highlighted with reference to Romans 8:19-21. 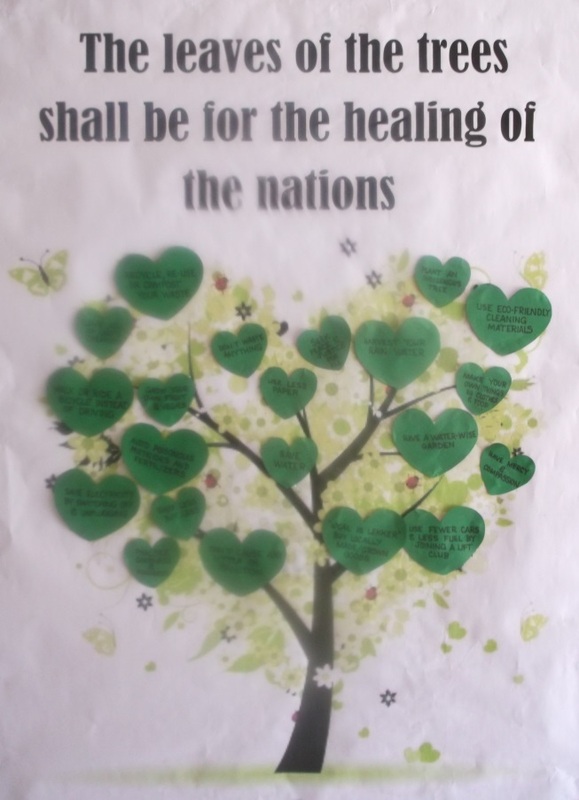 Children, teenagers, parents, grandparents and great grandparents pasted leaves for healing on an image of the “Tree of Life”. The heart-shaped leaves carried written commitments for action to bring healing, well-being and sustainability to the earth. Sharing with others, eg lift clubs. 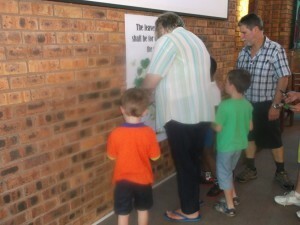 The congregation is now planning a multi-generational clean-up of green spaces, especially along streams and stormwater channels in the area, the day after international River Action Day on 14 March 2015.